$ git commit -m "Some special name"
All those things have been made easy using JekLog. JekLog is the web app which makes it easy to create a free website using Jekyll and GitHub pages. You just need to have a GitHub account to make your own website using Jekyll and GitHub pages. This way you can kick-start your career as a blogger. The advantage of using Jekyll, the static site generator is that it does not make use of database and other overheads that slows the user experience. This allows the people to read your content without any distraction and with great ease. When we upload images to a blog post or a particular URL, social engines try to create a beautiful thumbnail by picking up some or all the images from the URL. When these images are tagged in for a particular post on a social media, they are definitely going to be liked by more people than the posts with no image. It is proven that human mind stores things in the form of images. So, if you show a lot of images in your post then, people will get what you want to tell them and they will keep the thing in their mind for a longer time. No one can really argue with this point. We all know that images can be appealing in nature. It’s always better to have a few images in the post. This always provides a better user experience. When we were kids we never read books with no images in it. We always wanted to read books with a lot of images in it. The same process works for the blog posts too. And yes images are a good source to increase the length of the article and make it look like a beast. Increased length of an article can have major benefits in terms of the right-hand side ads. Also, it is always better to explain things using images. Images stay in the brain for a longer time then any text can stay in there. We have got a limited space on our servers which do not allow us to make an image uploading system directly to our servers. We have some plans of expanding our servers but till then we can make use of other services like which can host your images to some server and after that, you can use the link of the image on the blog on JekLog while writing the post. 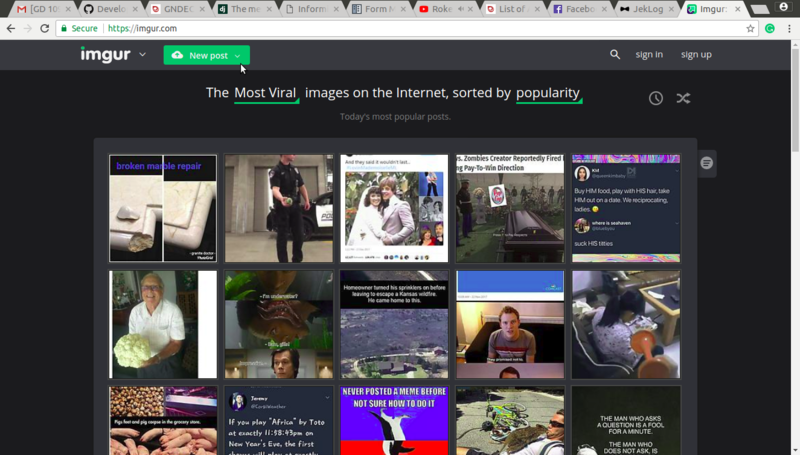 We recommend imgur for the purpose. 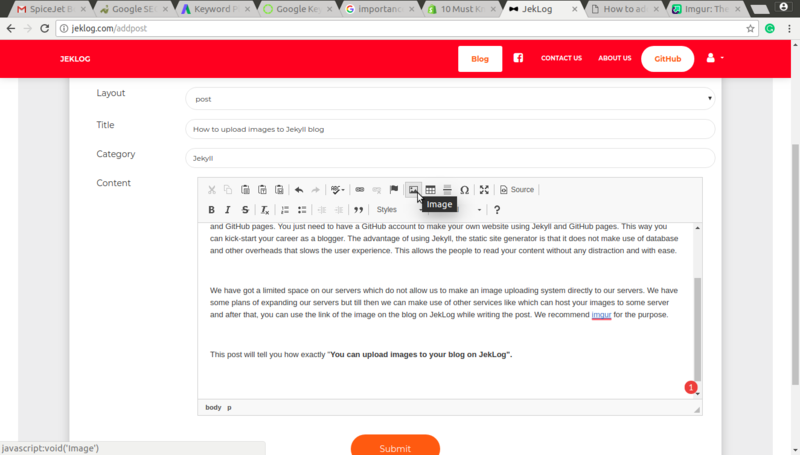 This post will tell you how exactly “You can upload images to your blog on JekLog”. First of all, you need to go to the imgur.com website and creates a new post and upload images from your local. 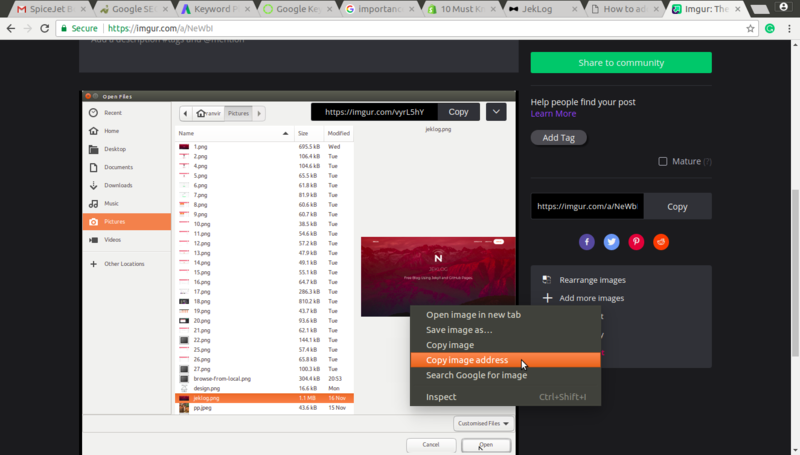 After that, you need to upload some images from the local that you want to share on your blog. Right click on the uploaded image and take the URL of the image. 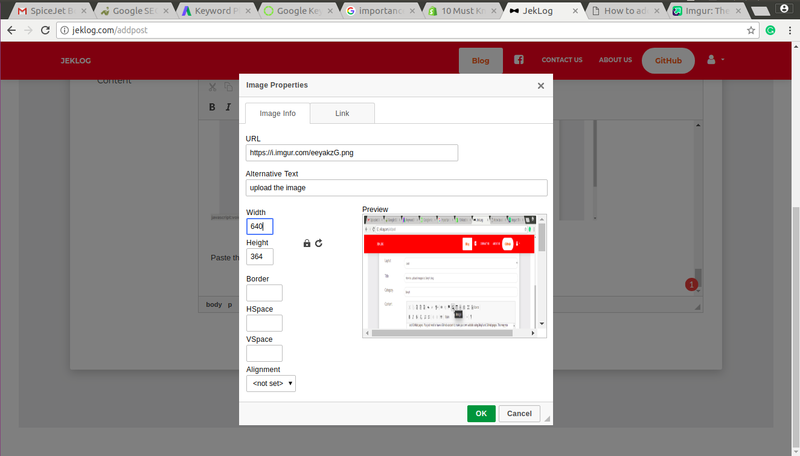 Now click on the image option in the JekLog add post page which will open the following dialog box. Adjust the things as follows. Alt text is very important for the search engines. 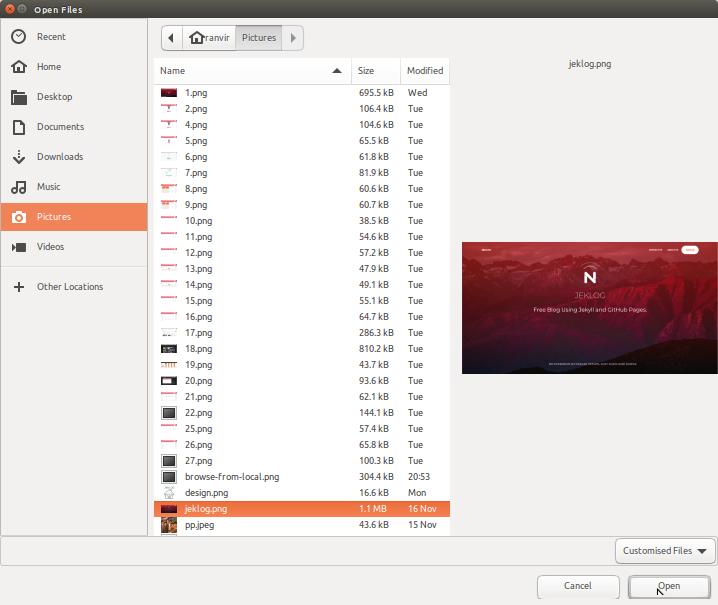 Finally, click on the OK button to upload the image. 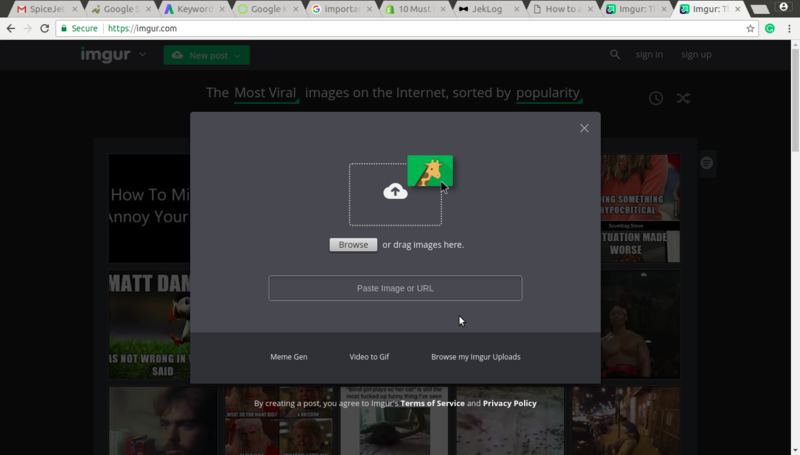 This is how you can upload images to posts on the blog created using JekLog.